TampaBay, no need for appologies I assure you! I wasn't aware that so many of the children from the Duke's first marriage suffered from poor mental and physical health. The second "wave" of children, by a different mother, appears to be a relatively healthy crop, however. I'm speculating wildly here, with no hard facts to support this, but I wonder whether Princess Maria Grazia Pia might have had Rhesus-negative blood (e.g. blood type lacks certain proteins). When a mother is Rh negative, and she gives birth to a child who is Rh positive (fairly likely, considering the vast majority of people have Rh positive blood), she begins to build up antibodies against future Rh-positive babies. The first baby is not affected because the antibody formation occurs mostly in the first few days after birth, in a response to the mixing of fetal and maternal blood at the time of the birth. However, subsequent preganancies in an Rh negative mother may, in layman’s terms, result in stimulation of abnormal antibodies crossing the placenta, into the baby’s blood stream, triggering the destruction of the unborn child’s red blood cells. The second pregnancy often produces a mildly anemic and /or jaundiced infant, while succeeding pregnancies produce more seriously affected infants. In severe cases, newborn infants develop neurological syndromes which may, if they survive, lead to hearing loss, mental retardation, etc. Rh incompatability went untreated until 1968, when an Rh immunoglobulin shot (which contains preformed antibodies and basically “resets” the mother’s body prior to the time when her body developed the antibodies) was developed. Since then, Rh incompatability is no longer a threat to either mother or child. I'm guessing that may have been the case here. The pattern certainly fits. I am thankful for modern medicine myself. 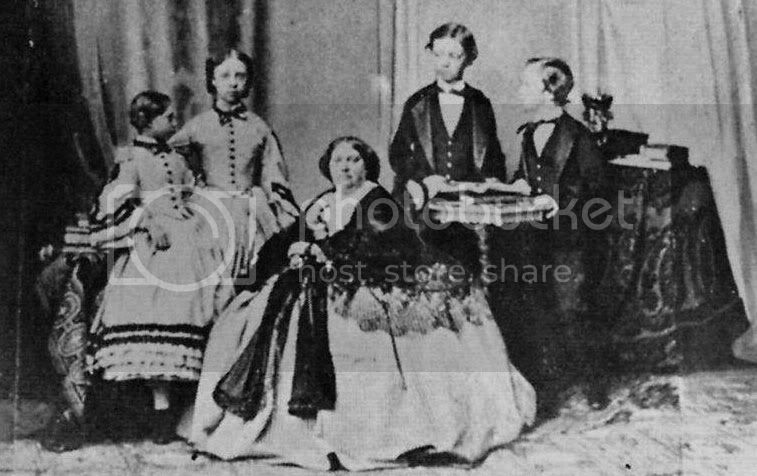 Duke Roberto with his siblings and mother. You know, Roberto's mother Princess Luise in buried in crypt in Kostanjevica monastery. I live near by, and still I didn't visited it. Shame on me! I have a great book called "Das Familienalbum von Kaiser Karl Und Zita" by Gabriele Praschl-Bichler. You can find lots of beautiful pictures of Empress Zita and her parents and siblings in it. For example there are pics of all children of Robert and his first wife Maria Pia. If you would like to see some of them, just let me know. Prince Gaetano's wife, Margarethe von Thurn und Taxis is still living, I believe. I'm so looking forward to it!!!! Gaetano's ex-wife is indeed still alive (born in 1909); Luigi's wife died four years ago (Maria of Savoy, 1914-2001) and René's died in 1992. Zita of course died in 1989, almost 70 years after her husband. 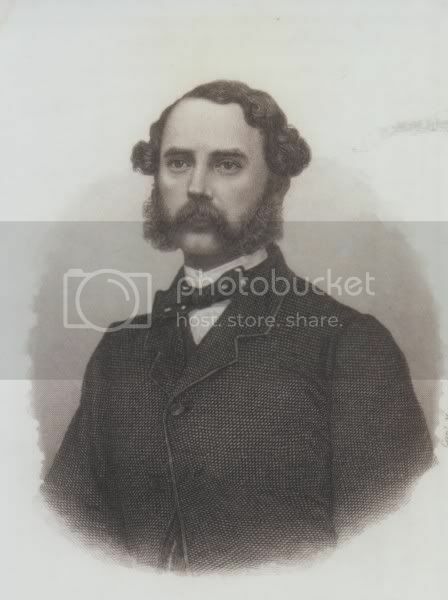 What did Prince Guido (Guy) of Bourbon-Parma (Luigi's son) die of? He lived from 1940 till 1991, divorced and with a child... I believe all of Luigi's kids divorced during their lifetime... Gaetano's daughter Diane also divorced her first (royal) husband. I don't know if it was arranged but they were certainly happy together from all appearances. Their wedding was lovely--a good number of outdoor photos (which is so unusual in old royal photos) and everyone seemed to really be celebrating. Zita only died a few years ago and it seems like her children inherited her longevity! At the time of their wedding, and in fact throughout the 19 and 20th centuries, the reigning Catholic monarchies in Europe were fairly isolated from the great and powerful monarchies, such as the Royal Family of Great Britain or the Hohenzollerns. Thus, Catholic princes and kings ahd to marry other princesses who were often closely related to them. Of these Catholic monarchies, one counts the Portuguese Braganzas, the Spanish Bourbons (who also reigned in the Two Sicilies and Parma) or the Austrian Habsburgs. Thence all the inbreeding that occurred between these royal families. (I suppose an exception were the Savoy, who, having unified Italy, estranged themselves from Catholic monarchies for a time). Planned or not, the marriage was advantageous for both (Zita gained status, while Karl gained a considerable dowry through his wife); it also unified the Austrians and the Bourbons once again, for Zita's half brother Elia married archduchess Maria Anna of Austria some years before. I know for a fact that Zita had originally wished to become a nun, like two of her sisters did (and a third would do after Zita's wedding). Considering that out of her twelve half siblings, six were mentally retarded, it is likelly that she and her family thought it necessary for them to amrry well, thus her wedding to the Austrian emperor, her brother Félix to Grand Duchess Charlotte of Luxemburg or Luigi's marriage to an Italian princess. Princess Maria Antonia of Portugal -their mother- seems to me a great match-maker. Prince Jacques died in a car accident. I'm interested in Maria Antonia of Portugal...She is a bit unknown to me, I mean she is immensely famous genealogically, but how was her personality? I don't know much about her either. I suppose she and the rest were very religious (three daughters becoming nuns suggests this anyway). I've also read that Zita wanted too to become a nun in the moanstery where her sisters lived (I cannot remember how many of them had taken the benedictine habit at Solesmes by then, but I'm sure that not all three sisters wrere nuns by the time Zita married). I imagine Maria Antónia was quite a matchmaker. I've also read that on the occasion of her son Luigi's wedding to Princess Maria of Savoy in 1939, crowds gathered to cheer Maria Antónia, and that it was the first time an ex-monarch from the pre-unification period (well, in this case the widow) was the object of such a manifestation of simpathy. The link with the House of Savoy was quite strong since Maria Antónia's eldest step-daughter was the mother of Boris III of Bulgaria (he married a Savoy himself), and she was the sister of the maternal grandmother of Queen Marie Josè of Savoy (born Princess of Belgium). Maria Antónia's godchildren were her grandson Otto and Archduchess Maria Antonia Roberta of Habsburg-Lorraine, daughter of Leopold Salvator of Tuscanny and Blanca of Bourbon (Carlist branch). I imagine this Maria Antonia was named after her godmother; her godfather was Duke Roberto. Maria Antónia died in 1959 in the Château de Berg, in Luxemburg. 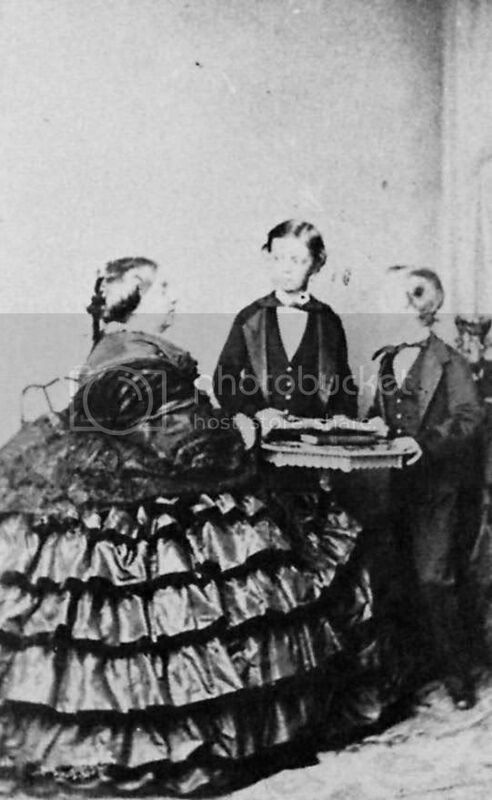 Did she become a resident mother-in-law of her niece and daughter-in-law Charlotte I of Luxemburg or was she paying her son Felix a visit t his wife's court there? Francesco-Saverio, Francesca, Zita, Felix, René, Maria Antonia, Isabella, Luigi and Enrichetta. Her daughter Adelaide (the eldest) died the same year as Maria Antónia, the previous February).